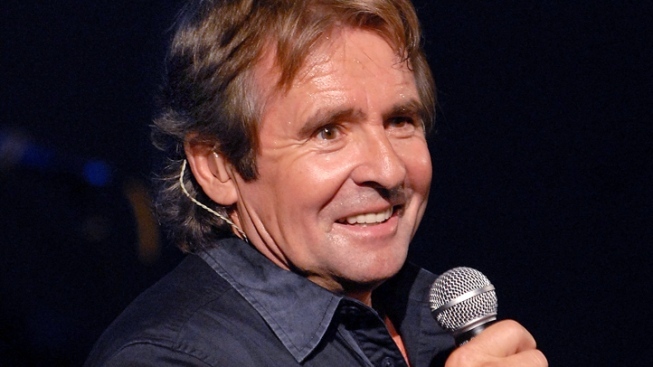 Davy Jones, of the 60's pop band "The Monkees," has died at age 66. Monkees singer Davy Jones died Wednesday in Florida of a heart attack, the medical examiner's office in Martin County confirmed to NBC News. He was 66. The Monkees were formed in 1965 by Screen Gems Studios, to be stars of their own sitcom about the exploits of an up-and-coming rock band. Jones was the first to sign on, and he was eventually joined in the made-for-TV band by drummer/vocalist Mickey Dolenz, guitarist Michael Nesmith and bassist Peter Tork. Though the show lasted for only 58 episodes over two season, from 1966 to 1968, they won the Emmy for Best Comedy after their first year, and a loving place in the hearts of America. From the outset, critics derided The Monkees as Beatles rip-offs and inauthentic. But they overcame the snobbery and backlash to win millions of fans with their infectious radio-friendly hits and squeaky clean image, of which Jones was the absolute personification. And they stuck together after the show's cancellation, eventually throwing off the yoke of their creators to record their first album on which they wrote many of their own songs and played their own instruments, "Headquarters." The record would debut at No. 1 on the Billboard charts in 1967. They released six top-10 hits during their first run -- with Jones singing lead on "Daydream Believer"-- and over the years they sold more than 65 million records worldwide, spawned a comic book, made a feature film and continued to record and tour off and on. The band's popularity was so great in the late '60s that another young British rocker named David Jones felt compelled to change his name to avoid confusion. The performer would eventually settle on David Bowie. After the band's initial split, Jones spent many years doing stage work in London, recording solo work, and appearing on a number of American TV shows, including "The Brady Bunch" and "Sabrina the Teenage Witch." All four original members last recorded together in 1995, releasing "Justus," the following year, and briefly toured Britain in 1997. Last year, Jones went on a 45th-anniversary reunion tour Dolenz and Tork, which was cut short "due to internal group issues and conflicts." Jones was pronounced dead at a hospital in Indiantown, Fla., where he made his home. He is survived by his wife, Jessica, and four daughters from two previous marriages. The medical examiner's office in Martin County has taken over the case. "The Medical Examiner's office will take jurisdiction, and a possible autopsy may be performed after evaluation of the circumstances of the death and medical information.," the office told NBC 6 in Miami.